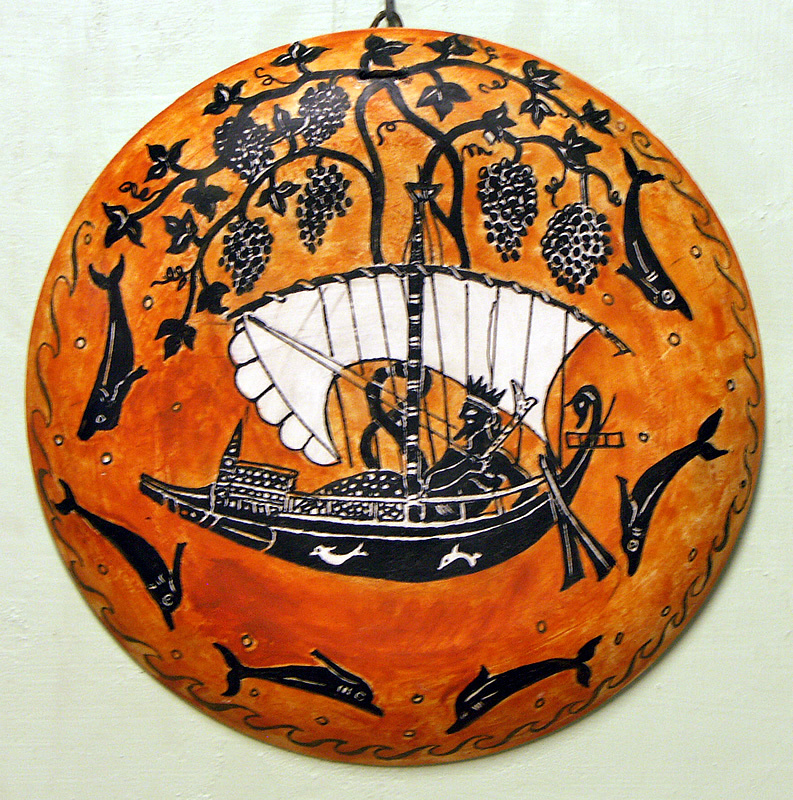 Exekias is perhaps the greatest of Athenian painters on pottery. This serene picture is a miracle of Dionysis. The god was captured by pirates but he turned the crew into dolphins and the mast broke out into vines. Copy by Diana Webber, 2015. Published August 9, 2016 at 793 × 800 in Ancient Greece. Trackbacks are closed, but you can post a comment.